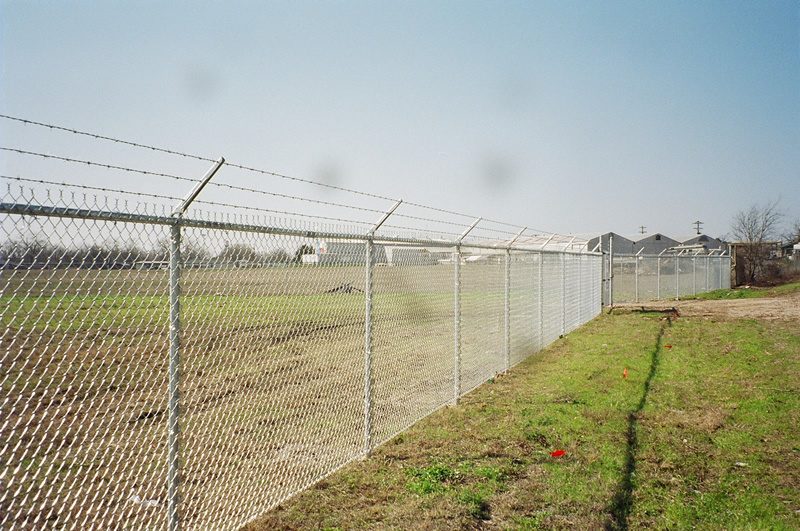 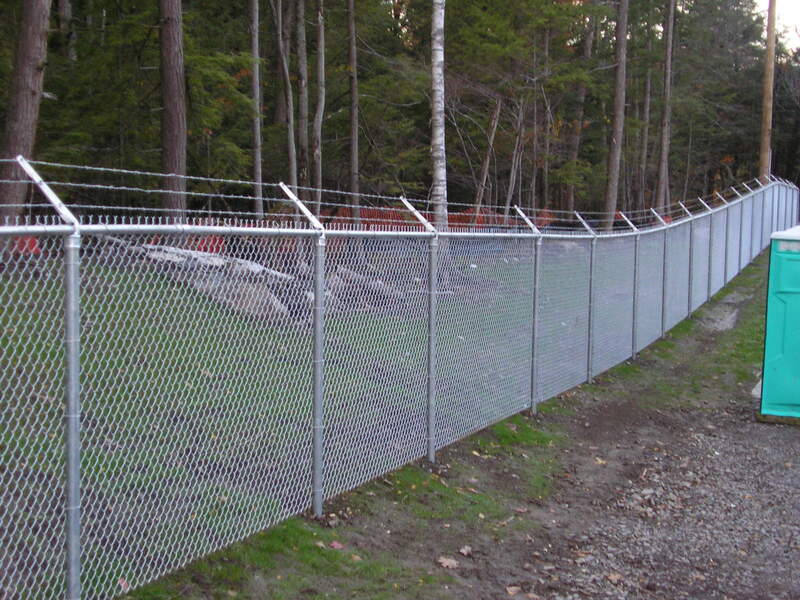 We offer security chain link fences for our industrial and commercial customers that want to keep people and animals out of their property. 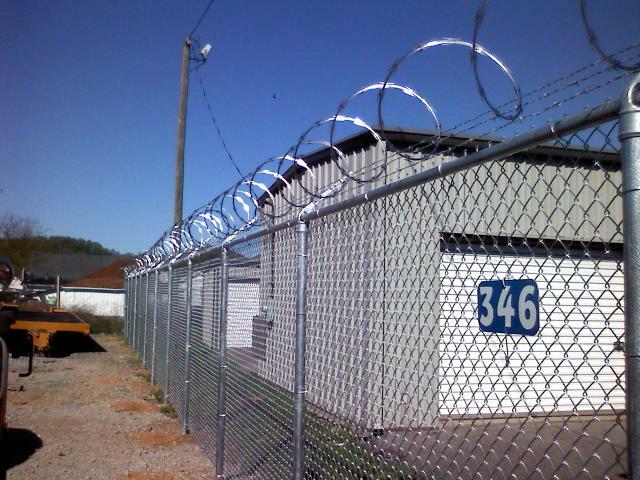 These fences are typically higher and more durable than residential fences, and come with the option of adding barbed-wire to the top. 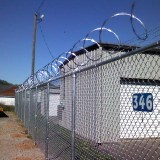 These are very popular for making a perimeter around storage yards or workspaces that need to be secure. 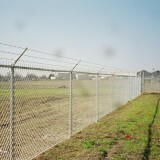 We can also provide plastic slats to turn these fences into a privacy screen. 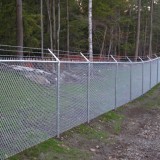 We offer chain link security fence to fit any need or budget.